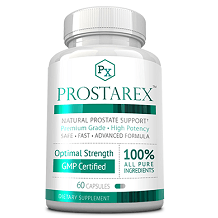 This review seeks to examine Prosvent, one of the numerous supplements on the market aiming to offer relief from the symptoms of an enlarged prostate. The manufacturer of the product credits it with the ability to alleviate frequent urination, and in particular, during the night. Additionally, Prosvent claims to work effectively without any side effects. Its maker also alleges that it is clinically proven and tested. The aim of this review is to give you an objective analysis of these claims so that you will have a strong basis for making a purchase decision. Keep on reading to learn more. The formula of the supplement includes Beta-sitosterol that helps to improve urinary symptoms. The presence of Saw Palmetto Extract reduces muscle tension around your bladder neck. Nettle Root Extract assists to promote healthy prostate tissue while Pygeum Africanum is effective in reducing prostate inflammation. Lycopene, on the other hand, is a natural antioxidant with Black Pepper Extract helping with the absorption of the product. Pumpkin Seed Oil enhances urinary function, Vitamin D maintains healthy calcium levels, and Zinc enhances prostate health. It is recommended for adult men to take one softgel twice daily with meals to reduce possible gastric side effects. The manufacturer says that you should have relief within 30 days. It does not seem possible to actually buy Prosvent from the manufacturer’s website. Rather, you sign up for a free trial of the product by filling in a form with your billing information and details of where to ship the product. The trial consists of a 60-day supply, however, you have to cancel within 30 days if you don’t wish to be charged for the bottles. If you don’t cancel within 30 days, you will be charged $39.95 per bottle and you be sent two new bottles every 60 days and automatically charged for them. To sign up for the trial, all you have to do is pay $9.95 for shipping and handling. The manufacturer of this product does not mention any possible side effects accompanying it, including those that result from allergic reactions to any of its ingredients. This purchase of this supplement is backed by a 30-day money-back guarantee from its manufacturer. However, for the first 30 days, you are covered by the free trial and have not actually laid out any money. So this is more a window of time that you have to cancel the product rather than an actual money-back guarantee. This product has 102 user reviews on Amazon with an average user rating of 3.5 stars out of a possible 5 stars. 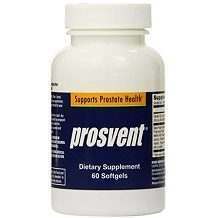 Prosvent joins the long list of supplements seeking to help in alleviating an enlarged prostate. The product seems to contain beneficial ingredients that are popular in most prostate supplements. This product also has a GMP certification. The product says it comes with a money-back guarantee, however, this appears more to be the timeframe that you have to cancel your trial. We find it a negative that the only way you can buy this product is by first signing up for a free trial by providing all your billing information and then you will automatically be charged if you forget to cancel.